Professor Emerita of Indo-Muslim culture in the department of Near Eastern language and civilizations, died on Sunday, January 26, in a hospital in Bonn, Germany, at the age of 80. Professor Schimmel, a world-renowned scholar of Islam, dedicated her life to fostering a better understanding of Islam and the Muslim world in the West. This poem, in its marvelous style of question and answer, conveys much of the dramatic events and of the feelings a pious Muslim experiences when thinking of the martyrdom of the Prophet’s beloved grandson at the hands of the Umayyad troops. The theme of suffering and martyrdom occupies a central role in the history of religion from the earliest time. Already, in the myths of the ancient Near East, we hear of the hero who is slain but whose death, then, guarantees the revival of life: the names of Attis and Osiris from the Babylonian and Egyptian traditions respectively are the best examples for the insight of ancient people that without death there can be no continuation of life, and that the blood shed for a sacred cause is more precious than anything else. Sacrifices are a means for reaching higher and loftier stages of life; to give away parts of one’s fortune, or to sacrifice members of one’s family enhances one’s religious standing: the Biblical and Qur’anic story of Abraham who so deeply trusted in God that he, without questioning, was willing to sacrifice his only son, points to the importance of such sacrifice. Iqbal was certainly right when he combined, in a well-known poem in Bal-E Jibril (1936), the sacrifice of Ismail and the martyrdom of Husain, both of which make up the beginning and the end of the story of the Ka’ba. Taking into account the importance of sacrifice and suffering for the development of man, it is not surprising that Islamic history has given a central place to the death on the battlefield of the Prophet’s beloved grandson Husain, and has often combined with that event the death by poison of his elder brother Hasan. 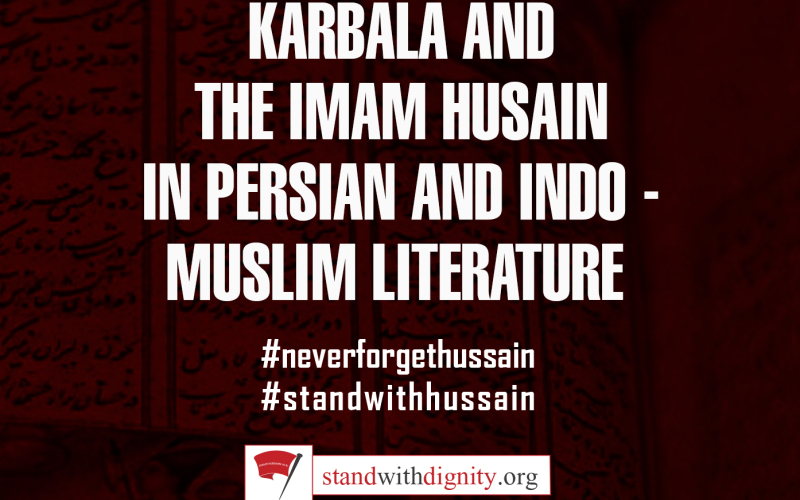 In popular literature we frequently find both Hasan and Husain represented as participating in the battle of Karbala, which is historically wrong, but psychological correct. It is not the place here to discuss the development of the whole genre of marthiya and taziya poetry in the Persian and Indo-Persian world, or in the popular Turkish tradition. But it is interesting to cast a glance at some verses in the Eastern Islamic tradition which express predominantly the Sunni poets concern with the fate of Husain, and echo, at the same time, the tendency of the Sufis to see in him a model of the suffering which is so central for the growth of the soul. You kill the one, thirsty, and nourish the other two. This means that man has sunk to such a lowly state that he thinks only of is selfish purposes and wishes and does everything to fondle the material aspects of is life, while his religion, the spiritual side of his life, is left without nourishment, withering away, just like Husain and the martyrs of Karbala’ were killed after nobody had cared to give them water in the desert. This powerful idea is echoed in other verses, both in the Divan and in the Hadiqat-al-Haqiqa; but one has to be careful in one’s assessment of the long praise of Husain and the description of Karbala’ as found in the Hadiqat, as they are apparently absent from the oldest manuscripts of the work, and may have been inserted at some later point. This, however, does not concern us here. For the name of the hero, Husain, is found in one of the central poems of Sinai’s Divan, in which the poet describes in grand images the development of man and the long periods of suffering which are required for the growth of everything that aspires to perfection. It is here that he sees in the ‘street of religion’ those martyrs who were dead and are alive, those killed by the sword like Husain, those murdered by poison like Hasan. Be either a Husain or a Mansur. God has kept the ecstatic lovers like Husain and Mansur in the place of gallows and rope, and cast the fighters for the faith, like Husain and ‘Ali, in the place of swords and spears: in being martyrs they find eternal life and happiness and become witnesses to God’s mysterious power. This tradition is particularly strong in the Turkish world, where the names of both Husain occur often in Sufi songs. Turkish tradition, especially in the later Bektashi order, is deeply indebted to Shi’a Islam; but it seems that already in some of the earliest popular Sufi songs in Turkey, those composed by Yunus Emre in the late 13th or early 14th century, the Prophet’s grandsons played a special role. They are described, in a lovely song by Yunus, as the ‘fountain head of the martyrs’, the ‘tears of the saints’, and the ‘lambs of mother Fatima’. Both of them, as the ‘kings of the eight paradises’, are seen as the helpers who stand at Kawthar and distribute water to the thirsting people, a beautiful inversion of Husain suffering in the waterless desert of Karbala. The imagery becomes even more colorful in the following centuries when the Shi’a character of the Bektashi order increased and made itself felt in ritual and poetical expression. Husain b. ‘Ali is the secret of God’, the ‘light of the eyes of Mustafa’ (thus Seher Abdal, 16th cent. ), and his contemporary, Hayreti, calls him, in a beautiful marthiya, the sacrifice of the festival of the greater jihad’. Has not his neck, which the Prophet used to kiss, become the place where the dagger fell? The inhabitants of heaven and earth shed black tears today. And have become confused like your hair, O Husain. Dawn sheds its blood out of sadness for Husain, and the red tulips wallow in blood and carry the brand marks of his grief on their hearts………. The candle of the Prophet was extinguished by the breeze of the Kufans. The moon of Muharam was seen, anxiety about the princes occurred. Muharram has come back, but the imams have not come. The Mirs have gone out from Medina they have not come back. The hardship of martyrdom, listen, is the day of joy. Yazid has not got an atom of this love. Death is rain for the children of ‘Ali. For rain seen by the oriental poets in general , and by Shah ‘Abdul Latif in particular, as the sign of divine mercy, or rahmat, and in a country that is so much dependent on rain, this imagery acquires its full meaning. The hardship of martyrdom is all joyful rainy season. Yazid has not got the traces of this love. The decision to be killed was with the imams from the very beginning. This means that, already in pre-eternity, Hasan and Husain had decided to sacrifice their lives for their ideals: when answering the divine address am I not you Lord? (7:171), they answered ‘Bala’ (Yes)’, and took upon themselves all the affliction (bala) which was to come upon them. Their intention to become a model for those who gain eternal life by suffering and sacrifice was made, as Shah ’Abdu’l-Latif reminds his listeners, at the very day of the primordial covenant. Then, in the following chapter, our Sindhi poet goes into more concrete details. Heroes became confused, seeing Mir Husain’s attack. The hardship of martyrdom is all coquetry (naz). In having his beloved suffer, the divine Beloved seems to show his coquetry, trying and examining their faith and love, and thus even the most cruel manifestations of the battle in which the ‘youthful heroes; as Shah Latif calls them, are enmeshed, are signs of divine love. The Friend kills the darlings, the lovers are slain. 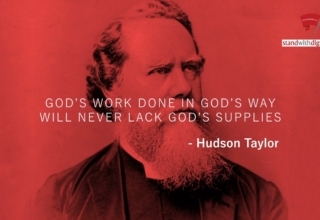 God, the Eternal, without need what He wants, He does. Shah ‘Abdu’l-Latif devotes two chapters to the actual battle, and to Hurr’s joining the fighters ‘like a moth joins the candle’, e.g., ready to immolate himself in the battle. But towards the end of the poem the mystical aspect becomes once more prominent; those who ‘fight in the way of God’ reach Paradise, and the houris bind rose chains for them, as befits true bridegrooms. But even more. Paradise is their place, overpowering they have gone to Paradise. They have become annihilated in God, with Him they have become He. The heroes, who have never thought of themselves, but only of God which makes them face all difficulties, have finally reached the goal: the fana fi Allah, annihilation in God and remaining in Him. 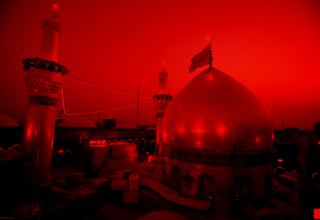 Shah ‘Abdu’l-Latif has transformed the life of the Imams, and of the Imam Husain in particular, into a model for all those Sufis who strive, either in the jihad-I Asghar or in the jihad-I Akbar, to reach the final annihilation in God, the union which the Sufis so often express in the imagery of love and loving union. And it is certainly no accident that our Sindhi poet has applied the tune Husaini, which was originally meant for the dirges for Husain, to the story of his favorite heroine, Sassui, who beloved, and is finally transformed into him. Shah’ Abdu’l-Latif’s interpretation of the fate of the Imam Husain as a model of suffering love, and thus as a model of the mystical path, is a deeply impressive piece of literature. It was never surpassed, although in his succession a number of poets among the Shi’a of Sindh composed elegies on Karbala’. The most famous of them is Thabit ‘Ali Shah (1740-1810), whose specialty was the genre of suwari, the poem addressed to the rider Husain, who once had ridden on the Prophet’s back, and then was riding bravely into the battlefield. This genre, as well as the more common forms, persists in Sindhi throughout the whole of the 18th and 19th centuries, and even into our own times (Sachal Sarmast, Bedil Rohriwaro, Mir Hasan, Shah Naser, Mirza Baddhal Beg, Mirza Qalich Beg, to mention only a few, some of whom were Sunni Sufis). The suwari theme was lovingly elaborated by Sangi, that is the Talpur prince ‘Abdu’l Husain, to whom Sindhi owes some very fine and touching songs in honor of the prince of martyrs, and who strongly emphasizes the mystical aspects of the event of Karbala’, Husain is here put in relation with the Prophet. The Shah’s horse has gained the rank of Buraq. 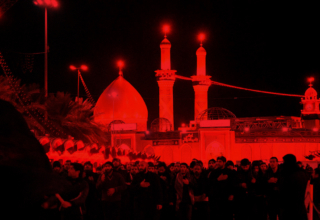 Death brings the Imam Husain, who was riding his Dhu’l Janah, into the divine presence as much as the winged Buraq brought the Prophet into the immediate divine presence during his night journey and ascent into heaven. Sangi knows also, as ever so many Shi’a authors before him, that weeping for the sake of the Imam Husain will be recompensed by laughing in the next world, and that the true meditation of the secret of sacrifice in love can lead the seeker to the divine presence, where, finally, as he says. Duality becomes distant, and then one reaches unity. The theme of Husain as the mystical model for all those who want to pursue the path of love looms large in the poetry of the Indus Valley and in the popular poetry of the Indian Muslims, whose thought was permeated by the teaching of the Sufis, and for whom, as for the Turkish Sufis and for ‘Attar (and innumerable others), the suffering of the Imam Husain. And that of Hasan b. Mansur, formed a paradigm of the mystic’s life. 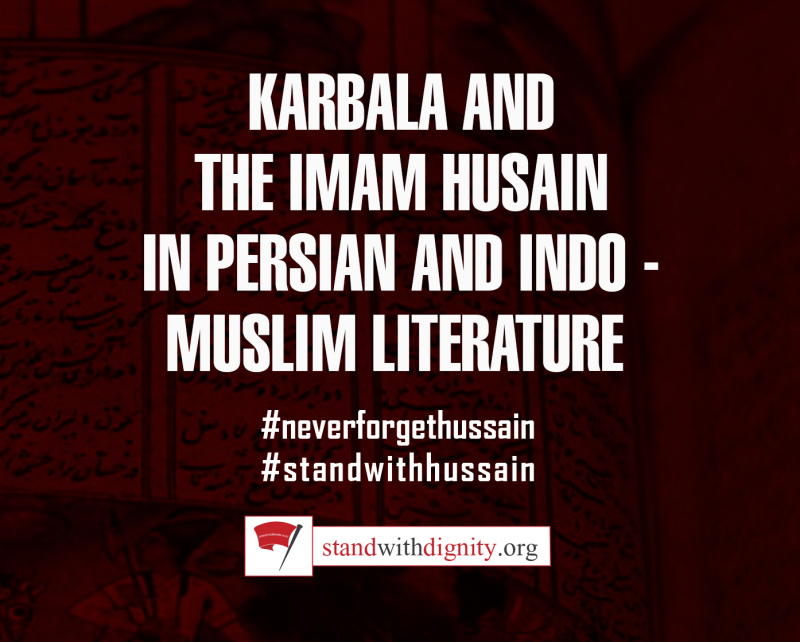 But there was also another way to understand the role of Husain in the history of the Islamic people. And importantly, the way was shown by Muhammad Iqbal, who was certainly a Sunni poet and philosopher. We mentioned at the beginning that it was he who saw the history of the Ka’ba defined by the two sacrifices, that of Ismail at the beginning, and that of Husain b.’ Ali in the end But almost two decades before he wrote those lines, he had devoted a long chapter to Husain in his Rumz-I Bekhudi. Here, Husain is praised, again in the mystical vocabulary, as the imam of the lover, the son of the virgin, the cypress of freedom in the Prophet’s garden. While his father. Imam ‘Ali, was, in mystical interpretation, the “b” of the bismi’llah, the son became indentified with the ‘mighty slaughtering’, a beautiful mixture of the mystical and Qur’anic interpretations. But Iqbal, like his predecessors, would also allude to the fact that Husain, the prince of the best nation, used the back of the last Prophet as his riding camel, and most beautiful is Iqbal’s description of the jealous love that became honored through his blood, which, through its imagery, again goes back to the account of the martyrdom of Husain b. Mansur al-Hallaj, who rubbed the bleeding stumps of his hands over his blackened face in order to remain surkh ru, red-faced and honored, In spite of his suffering. For Iqbal, the position of Husain in the Muslim community is as central as the position of the Surah al-Ikhlas in the Holy Book. Then he turns to his favorite topic, the constant tension between the positive and negative forces, between the prophet and saint on the one hand, and the oppressor and unbeliever on the other. 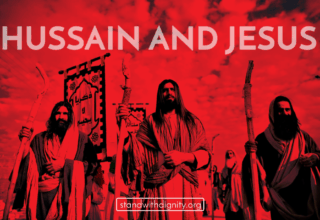 Husain and Yazid stand in the same line as Moses and Pharaoh. Iqbal then goes on to show how the Khilafat was separated from the Qur’anic injunctions and became a worldly kingdom with the appearance of the Umayyad’s, and it was here that Husain appeared like a raincloud, again the image of the blessing rain which always contrasts so impressively with the thirst and dryness of the actual scene of Karbala’. 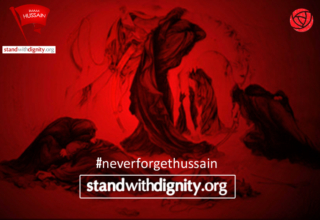 It was Husain’s blood that rained upon the desert of Karbala’ and left the red tulips there. But whereas earlier mystical poets used to emphasize the person of Husain as model for the mystic who through self-sacrifice finally reaches union with God, Iqbal, understandably stresses another point: To lift the sword is the work of those who fight for the glory of religion, and to preserve the God-given order.’ ‘Husain blood, as it were, wrote commentary on these words, and thus awakened a sleeping nation. Again the parallel with Husain b. Mansur is evident (at least with Husain b. Mansur in the way Iqbal interprets him: he too claims, in the Falak-I Mushtari in the Javidnama, that he had come to bring resurrection to the spiritually dead, and had therefore to suffer). But when Husain b. ‘Ali drew the sword, the sword of Allah, he shed the blood of those who are occupied with, and interested in, things other than God; graphically, the word ‘la’, the beginning of the shahada, resembles the form of a sword (preferably a two-edged sword, like Dhu’l-fiqar), and this sword does away with everything that is an object of worship besides God. It is the prophetic ‘No’ to anything that might be seen beside the Lord. By using the sword of ‘No’, Husain, by his martyrdom wrote the letters ‘but God’ (‘illa Allah’) in the desert, and thus wrote the title of the script by which the Muslims find salvation. It is from Husain, says Iqbal, that we have learned the mysteries of the Qur’an and when the glory of Syria and Baghdad and the marvels of Granada may be forgotten, yet, the strings of the instrument of the Muslims still resound with Husain’s melody, and faith remains fresh thanks to his call to prayer. Husain thus incorporates all the ideals which a true Muslim should possess, as Iqbal draws his picture: bravery and manliness, and, more than anything else, the dedication to the acknowledgement of God’s absolute Unity; not in the sense of becoming united with Him in fana as the sufi poets had sung, but, rather, as the herald who by his shahada, by his martyrdom, is not only a shahid, a martyr, but at the same time a witness, a shahid, for the unity of God, and thus the model for all generations of Muslims. O zephyr, O messenger of those who are far away Bring our tears to his pure dust. Ergun, Bektasi, sairleri, page 95.